The Chief Executive of London City Airport, Declan Collier, has been asked to review the options for selling the airport. About 60% of its passengers are on business trips, so the airport is seen as of value to the City. However, the local residents in the area, some living very close to the airport and under its flight paths, derive little benefit from the airport and suffer its adverse impacts. This comes at a time of unprecedented upheaval for the airport industry. Edinburgh is up for sale, Stansted could be soon, and the Government is proposing an airport in the Thames estuary.The airport opened in 1987. It was bought by Dermot Desmond for £23.5m in 1995 after it had struggled to build business in its early years. It was then sold by Mr Desmond in May 2006, for about £750m, to a consortium of the American insurer AIG and GIP. AIG then sold its 50% stake to GIP in 2008. The prospect of the 2012 Olympics raised its price. At present it is unlikely to sell for much more than the £750m, but in a buoyant market, its owners GIP and the current minority stake partner Highstar Capital could expect as much as £1.25bn. London City Airport is expected to be put up for sale this year. (See Independent article below). Declan Collier, who takes over as Chief Executive in the Spring, has been asked by its owners, Global Infrastructure Partners (GIP), to review the options for selling the airport. The incoming chief executive of the Square Mile’s favourite airport, London City, has been told by its owner to review sale options when he starts in the spring. Declan Collier, who joins from Dublin airport, has been asked by Global Infrastructure Partners (GIP), which also owns Gatwick, to look at a potential sale in his first months in the job. Investment banking advisers could be selected by the end of the year. This comes at a time of unprecedented upheaval for the airport industry. Edinburgh is up for sale, Stansted could be soon, and the Government is proposing an airport in the Thames estuary. Other options for London City, which had 7.6 per cent more passengers last year, include syndicating the equity as GIP did for Gatwick in 2010. For example, Abu Dhabi Investment Authority spent £125m for an estimated 15 per cent shareholding and Calpers, the US pension fund, dished out around £105m for a 12.7 per cent stake. Sources close to GIP said that a banking appointment would leave City, a favourite with business due to its efficiency and proximity to London’s financial centres, able to sell quickly when market conditions improve. At present, the airport would struggle to fetch much more than the £742m that GIP – then in conjunction with AIG – paid in 2006, despite significant operational improvements. In a buoyant market, GIP and the current minority stake partner Highstar Capital could expect as much as £1.25bn. Mr Collier replaces Richard Gooding, who will stay on as a non-executive director at the airport. Mr Gooding declined to comment on the potential sale. Although GIP seems set to, at least, sell down some of its stake in London City, the US-based infrastructure group is believed to be interested in buying Edinburgh airport. The deadline for initial bids on Edinburgh is next month and Royal Bank of Scotland is believed to be advising GIP on its potential offer. Edinburgh is expected to fetch in excess of £600m, though the price might be slightly depressed as it is a forced sale. The airports operator BAA has been ordered by the Competition Commission (CC) to sell-off Edinburgh, as it is considered to have a near-monopoly in Scotland, just as it was at Gatwick. BAA, which is owned by the Spanish group Ferrovial, is still fighting the CC’s ruling that it should also sell off Stansted. The CC argued that by owning Heathrow and Stansted, as well Gatwick until 2009, BAA was too dominant in the South-east. However BAA believes that Heathrow and Stansted serve different markets, the former focusing on business and the latter leisure. The future of UK airport infrastructure was a major talking point last week, after it emerged that the Government would be consulting on the possibility of building a new airport in the Thames Estuary. This is a plan for which London Mayor Boris Johnson has lobbied hard and which would negate the need to expand at Heathrow. AIG, American insurer, is going to sell its 50% stake in London City airport to its partner, Global Infrastructure Partners (GIP), for an estimated £250m. The two companies bought the airport together two years ago for around £750m. GIP, an investment fund owned by Credit Suisse, will now have full control over London City airport. AIG, which was saved from collapse by an emergency $85bn (£47bn) loan from the US government, is selling businesses to help pay the loan back. The US insurer is looking into further disposals of more than 15 businesses, including ILFC, its aircraft leasing unit and a stake in a large US reinsurer. 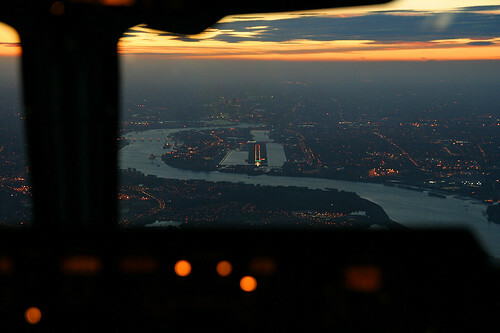 London City airport was sold in October 2006 by Dermot Desmond, the Irish financier. GIP, which was established in 2006 by Credit Suisse and General Electric, invests globally in infrastructure assets, including power and utilities, natural resources, water distribution and treatment and waste management. London City Airport is to be sold to a consortium led by US insurer AIG for an undisclosed sum. The Docklands airport, opened in 1987, was put up for sale by its Irish owner Dermot Desmond in May, with reports suggesting it could be sold for £750m. GE Infrastructure – part of industrial giant GE – and investment bank Credit Suisse are also backing the deal, which must be approved by EU regulators. Nearly two million passengers used the airport last year. The airport targets business travellers, with its proximity to the Docklands making it the airport of choice for many bosses working there. It revealed plans earlier this year to boost passenger numbers to three and a half million by 2015 and eight million by 2030. New routes launched this year include Milan, Stuttgart and Madrid. London City Airport said the sale price reflected the new owners’ faith in its growth potential. Mr Desmond bought the airport for £23.5m in 1995 after it had struggled to build business in its early years. “London City Airport understands that its new owners plan to work closely with the existing airport management team to maximise the development and future value of the airport,” it said. It has enjoyed strong growth in the past two years with monthly passenger figures hitting a record of more than 220,000 in June. London’s successful bid to stage the 2012 Olympics has increased the value of the airport. The event is expected to significantly boost traffic numbers and raise the airport’s profile overseas. Several consortia were interested in buying the airport including one led by British construction company Balfour Beatty.